RSPS is a civic-minded organization. Our programs are provided to the public to raise awareness of boating safety issues, provide specific educational opportunities, enhance boaters's safe practices and boat readiness, and promote boating safety. We also support charitable activities. 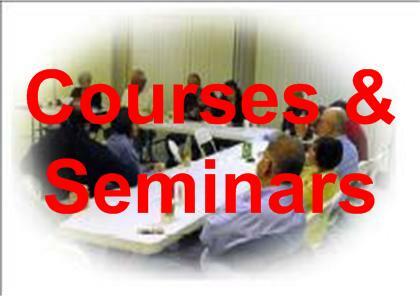 EDUCATION: As fully described on our Courses page, we provide 2-hour seminars to the public on a wide variety of boating topics. We also teach a state-certified 8-hour basic boating course several times per year. SAFETY PROMOTION: We conduct a variety of safety programs throughout the year. We have a fire safety training event that includes hands-on experience with fire extinguishers and flares. Our on-the-water training events include "Man Over Board" drills to practice using of a throw-able personal flotation device to recover a person in the water, and other safe boating procedures. And, we advertise boating safety through local governments by soliciting and receiving Safe Boating Proclamations from each year during National Safe Boating Week. VESSEL SAFETY EXAMINATION: Follow the link from the shield shaped graphic on the left. Our certified Vessel Safety Examiners offer free vessel safety checks using the latest USCG checklist. This provides a meeting where the boat owner can refresh boating safety knowledge and obtain peace of mind that the boat meets all federal and state safety requirements. Boats successfully completing the examination display this label. COOPERATIVE CHARTING: This national program assist´s the National Oceanic and Atmospheric Administration (NOAA) of the U.S. Department of Commerce in the maintenance of nautical charts. RSPS has adopted the NOAA Annapolis harbor chart. Our members review and determine potential errors or required updates, and as a public service for all boaters we report issues found to NOAA. CHARITABLE ACTIVITIES: Squadron members support many charities. Many members participate in the Easter Seals Cruise For Kids in Baltimore each year, as well as oversee a local Santa's Helper trust to support children in the Rockville Maryland area.